The Festival de Cannes with all the glamour, glitz and celebrity, but how exactly do you get to be one of the chosen few to actually see a movie? 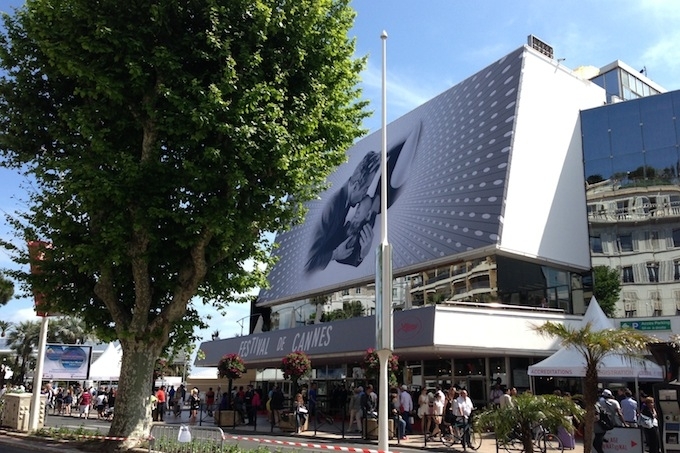 Seeing a movie during the Cannes festival may seem like an impossible task for us regular folks. Unless you are very well connected or work in the industry, it is almost impossible to score one of those precious accreditations that will get you inside the Palais des Festivals. Some people are perfectly prepared to stand by the entrance and beg for tickets hours before the screenings, and for some of them, it works. However, if you are ready to lower your expectations somewhat and are prepared to queue for an hour or so, you can have as much fun as people attending the main festival. After all, do you really need to walk the red carpet in front of thousands of paparazzi and screaming fans when you are a true film enthusiast? Two sidebars to the festival offering a wide range of works are indeed open to the public, La Semaine de la Critique (the International Critics’ Week) and La Quinzaine des réalisateurs (the Directors’ Fortnight). Founded in 1962, La Semaine de la Critique showcases the first and second films from emerging directorial talents. Great names such as directors Bernardo Bertolucci, Leos Carax, Ken Loach and Jacques Audiard have started there, and for this year’s edition ten movies, seven in competition, are being shown. Among them, British director Paul Wright’s ‘For Those in Peril’ and David Lowery’s ‘Ain’t Them Bodies Saints’ featuring Ben Foster, Casey Affleck and Rooney Mara. Meanwhile, La Quinzaine des réalisateurs features a non-competitive line-up of independent films, even though first time feature directors in the program are, just like those whose films are in the other sections, eligible for the Camera d’Or, the prestigious award for the best feature debut of 2013. This year, the twenty-one films presented during the quinzaine include a documentary by Kaveh Bakhtiari, called ‘L’Escale‘ about a group of Iranians in transit in Switzerland, on their way to Greece, and Ari Folman’s ‘The Congress‘, an adaptation of sci-fi novel ‘The Futurological Congress‘ by Polish writer Stanislaw Lem, featuring Robin Wright, Harvey Keitel and Paul Giamatti. Tickets for La Semaine de la Critique are free and are available at the box office located in the Miramar area, at 35, rue Pasteur, on the Croisette between the Carlton and the Martinez. Tickets for La Quinzaine des Realisateurs are sold 7€ a piece at the Malmaison esplanade on the Croisette. There is no advance booking and each ticket is valid for a non-specified screening subject to available seats.